The high precision gear drive system requires no regular maintenance and is much more powerful than the belt drive system of the SOLYS 2. The maximum payload is increased to 80 kg and the torque is raised to 60 Nm, allowing SOLYS Gear Drive to carry multiple and/or heavy instruments and other loads. The integrated GPS receiver automatically configures location and very accurate time information upon installation. Do you recommend the SOLYS Gear Drive in polar conditions? Absolutely! Great care has been put in extending the temperature range and minimising the possible disturbance from dry air (ESD) to make the SOLYS Gear Drive suitable for this climate. How well does the SOLYS work in salty air that is close to the ocean? Like our radiometers, the SOLYS’s are made of anodised aluminium. Until now we did not see any effect on the functioning of the trackers that are mounted on the sea shore. The SOLYS has in addition to the radiometers a paint coating to further protect it. Is there any option for Sun sensor, can we remove from tracker? The Sun Sensor is supplied as standard with the SOLYS Gear Drive. It can be removed (or not mounted) then the SOLYS will follow the sun based on its internal calculation. This is normally accurate enough, but does not correct for any misalignment or unstable mounting. What is the power requirement for AC and DC? The power requirement is for both AC and DC is 25 Watt during operation and 13 Watt at night. For the SOLYS “night” is from ~ 5 minutes after sunset to ~ 5 minutes before sunrise. This is switched automatically and only used when powered from AC. The cold cover can be used to reduce the required heating power. Are the Zenith/Azimuth Positions of tracker available in log file? Yes, both the Solar Zenith and Azimuth positions and the SOLYS motor Zenith and Azimuth positions are available in the log file. How long takes the night time rewinding? It takes a few minutes for the SOLYS to return to its home position. Then the SOLYS goes to sleep mode (for power reduction). Is there any altitude limit in this as in 2AP? The power supplies used in the SOLYS have EN60950-1 approvals. This means approved up to 5000m. If higher altitudes are required we can check or test if this is feasible. Can the PMO-6 be mounted? 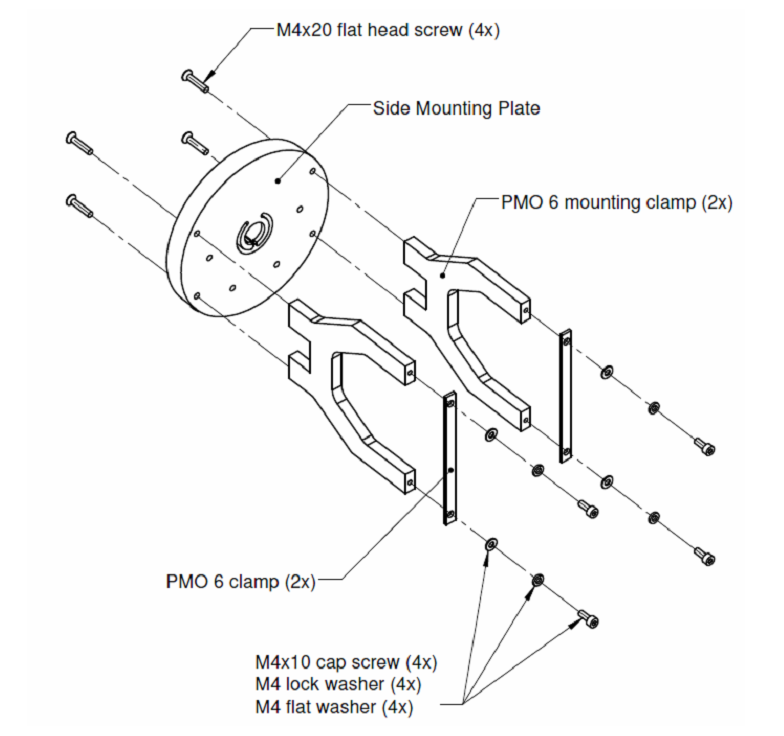 Yes, like on the SOLYS 2 a special mounting clamp is available for the PMO-6. What about the pointing accuracy? Pointing accuracy is better than 0.02°, when active tracking, under all conditions. How many (CHP 1) pyrheliometers can be mounted? Standard one CHP 1 mount is included. An extra mounting clamp can be added on top of this CHP 1 mounting. The same can be done on the other side. So standard, 4 CHP 1’s is possible. The SOLYS Gear Drive can easily handle more, but for mounting more instruments (e.g. 8 pyrheliometers) a larger mounting plate is required.